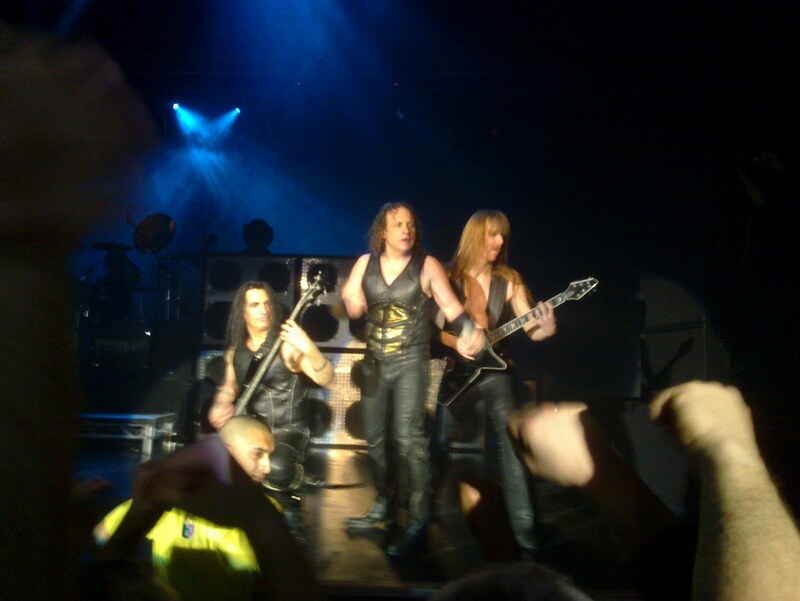 I had one of my very rare days off today and it just happened to coincide with Manowar playing in England. It's been a while since this has happened, about 17 years. I wasn't going to miss them. Of course, tomorrow isn't a day off, the gig was in Birmingham and the class is in Kent. So I get to stop at Clacket Lane. It's not great, but the band were so it's worth it. Now to finish my hot chocolate and to bed. Sorry guys, I can't remember the group name so please feel free to leave a comment and tell me. 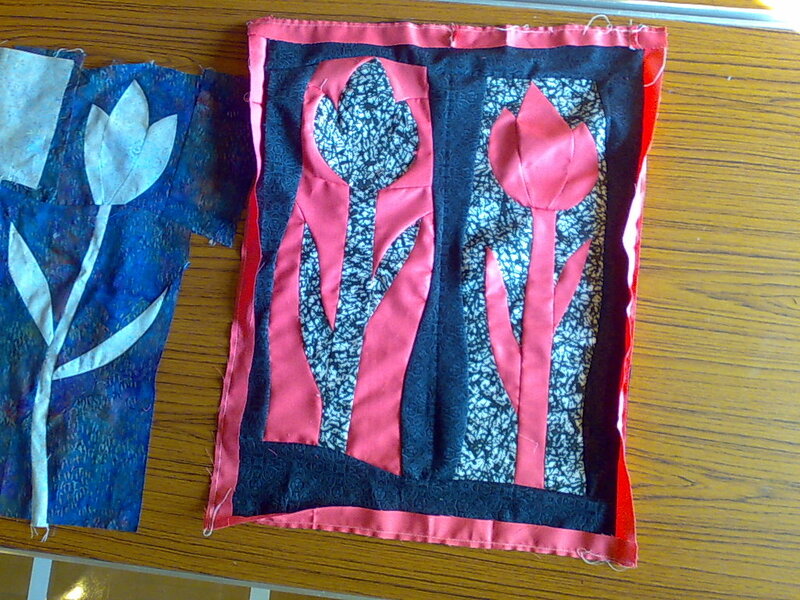 These are some pictures from Tuesdays workshop. This was one of the bookings that nearly caught me out. I know it's only a 2 hour drive from my house, except if there is rush hour involved. Fortunately I worked it out just in time and drove down to Pease Pottage services the night before. They aren't great services and are really too noisy even for me. Still it left me with a short and beautiful drive Tuesday morning. It was a cold night followed by a hot day and there was a solid blanket of mist over the Downs. Just the tops of hills were visable apparently floating in the sky, it really was magical. 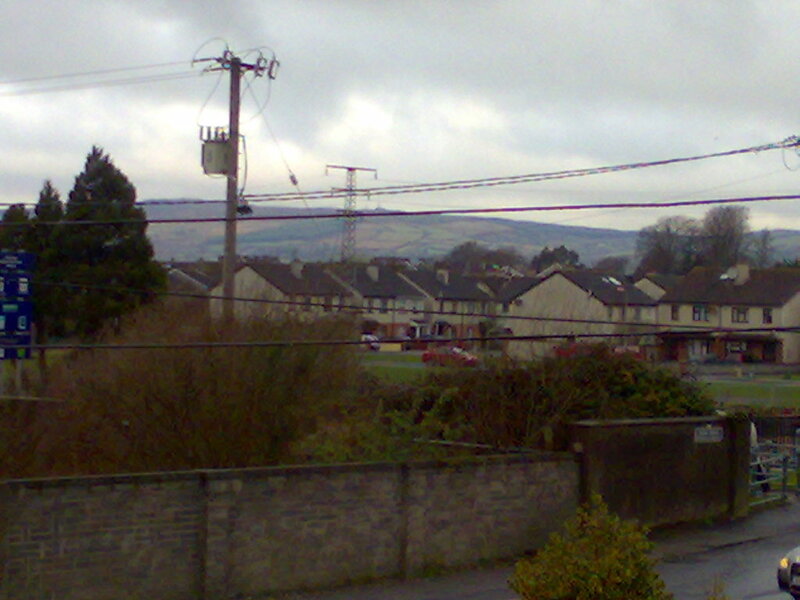 After threading your way between the hills you get lots of open spcae with the sea in the distance. I love Sussex, I just can't help it. I was g;ad I had used sattelite images to check the exact location of the hall as it was furter up the road than I would have expected but very easy to find when you know what you are looking for. It's a nice hall with plenty of parking, and a reasonabl;e number of sockets. 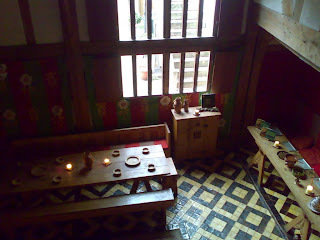 It also had a very pretty modern stained glass window over the door. As you can see there was lots of room for people to spread out. The class was Caveman Tulips as per Ricky Tims. Nearly everyone went home with well progrressed tulips. One lady did have a fabric which didn't want to do the class. While that must have been very frustrating she stayed, learned and helped outhers. I hope she will give the technique another go with more obliging fabrics. I've only shared the best of my pictures here, the sun was making photography very difficult. Hopefully they will be good enough to appreciate the amount of work and creativity that the group achieved. I thought it was a fun day, they are a friendly group and get the award for the most robust ham roll ever. It was really nice and amazingly filling. I fed the second roll to Tet for dinner! I tried to post these earlier but for some reason only one made it. 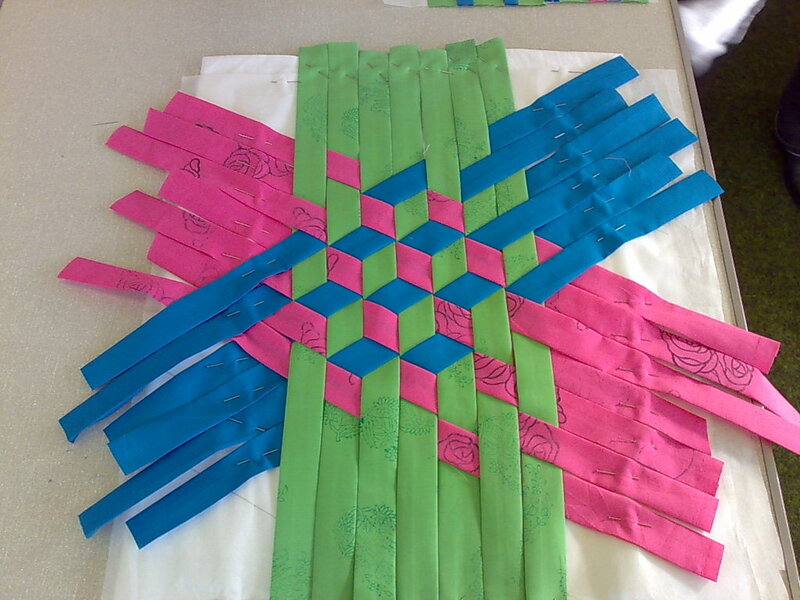 Some more weaving by the Isleworth ladies. 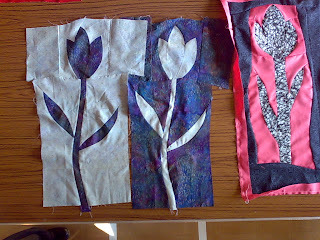 It's Saturday again and I am in Bath this week about to teach Journal Covers, but there are still 2 workshops I haven't blogged about. The pictures are from last Saturday when I was in Isleworth. 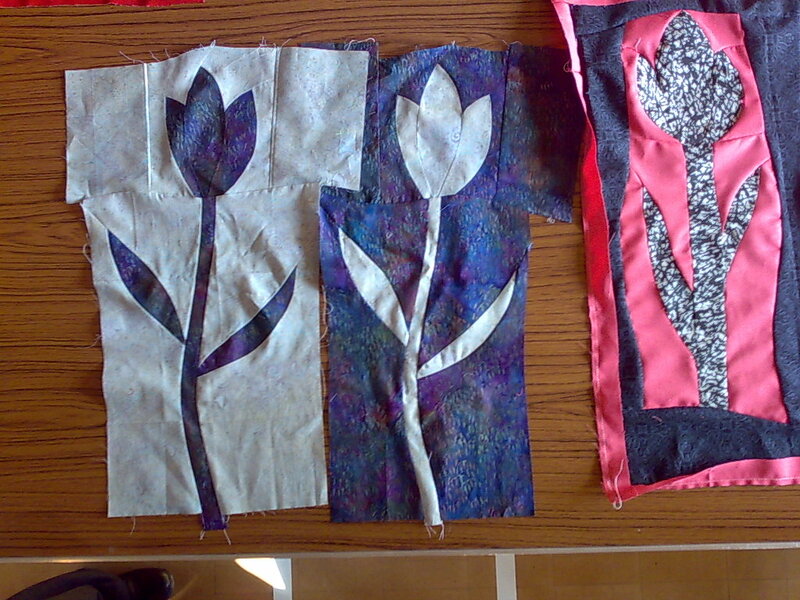 I was teaching an Embroiderers Guild group so losts of non quilters. That means new challenges and new ideas and insights. 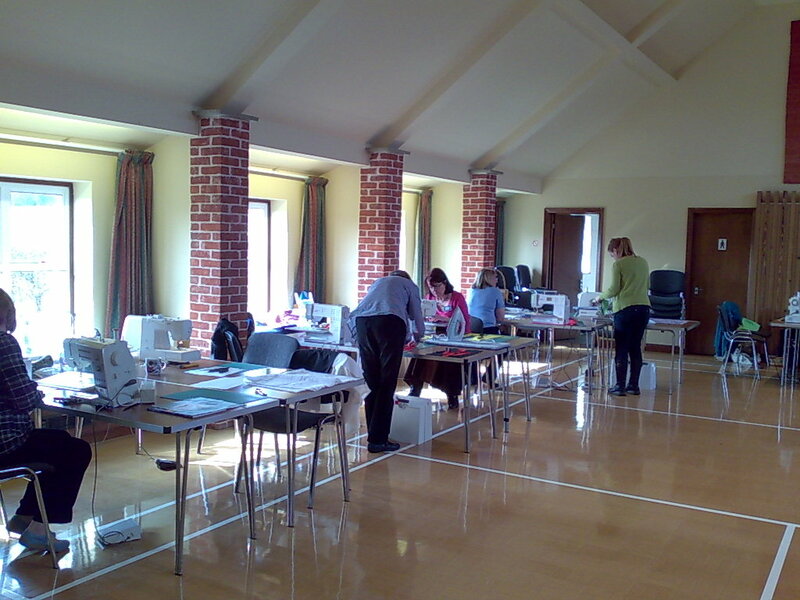 We had a lovely hall and it was the first of the sunny days. 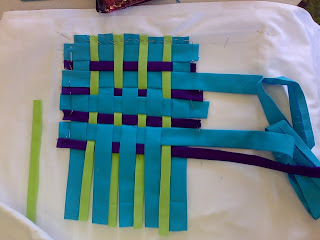 As you can see they produced some great work with their woven wallhangings class. I feel I a doomed to always be one booking behind in my blog. I guess that is just a feature of being this busy. After flying back on Monday I had a booking for a talk on Tuesday. I would admit it wasn't my most organized talk. I think I left my brain on the plane, so I forgot quite a few things. Still the van is well packed and even with things missing I have enough to talk about (more than enough probably). This group meet in the lounge of a care home, unusual but quite a clever use of space. The quilters are keeping the room in use for a few more hours and given the shortage of space and especially heated meeting rooms this seems a very neat solution. It even had a ceiling just high enough for me to hang Phoenix Rising (yes it is big enough for that to be an issue). It turned out to be another group with several people I know in, and some more who had seen me speak before. Fortunately I never quite do the same talk twice so everyone gets to hear and see something different. It also saves me from getting bored with the talk. 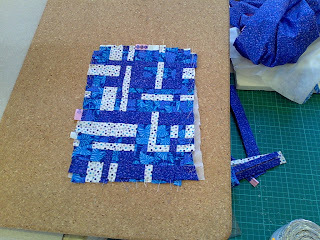 I don't know how many times I have given it but I think it's enough to have got bored by now. It was also nice to discover this Yateley was closer to London than I thought so I was home before midnight. The guide back to the motorway was very much appreciated too, my sat nav isn't fixed yet and I am not good at reading directions in the dark while driving. Thanks guys for all the help getting packed and home it made a huge difference. 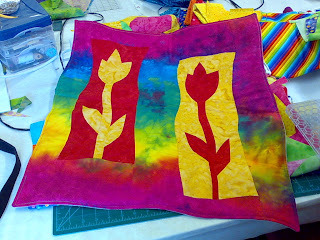 I've finally got a few minutes to share some more pictures from the class this weekend. I decided to wait till I got home so I could share more pictures. Posting from Ireland on my phone is quite pricey. I have so many pictures I can't possibly post them all so I've grabbed a few at random. Sorry if they are blurry or anything I've only got a very small image to judge them by. Each time I get to teach a multi day class it reminds me how much I enjoy it. You can get so much more done. It seems that quilting every day keeps the new technique fresh in your mind so two consecutive days seems to be about the same as three spaced out days. 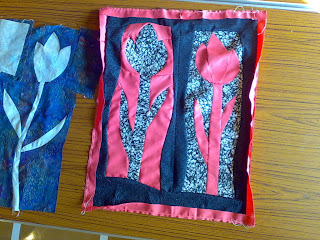 The Sunday was spent playing with different designs using the same techniques as the tulips. We had sea horses, butterflys, dragonflys, ducks and Marys not to mention the other things that were designed but not made. I certainly enjoyed the day and I think the class did too. Of course when you experiment you do get some designs that don't work the way you expect, which then allows everyone to learn more. You can progress techniques so much faster when there are more people playing. I flew home Monday night after being fed solidly so I wouldn't starve on the journey. I think my main memory of Ireland from both trips is the food. You do get very well fed and the food is solid proper food. Heathrow was the usual unpleasant shock. Suddenly no on can understand a word I say and even ordering a coffee was hard work. By the time I got home I was exhausted, and yesterdays talk was hard work after the 4 days in Ireland, but more on that later. I'm tired but we are having fun. 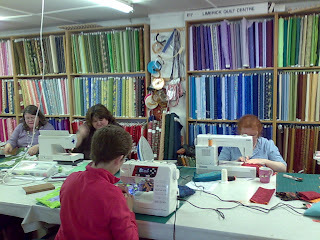 I'm still in the workshop at the Limerick Quilt Centre and sewing is happening. 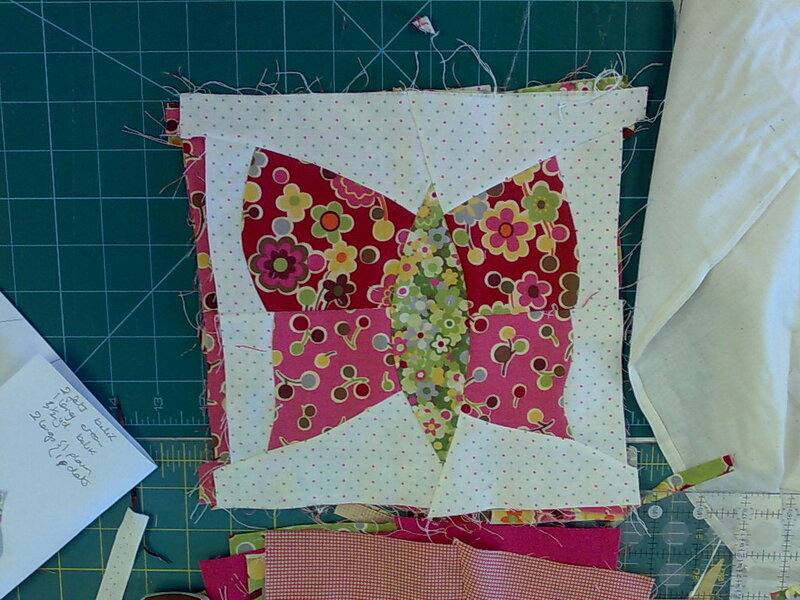 I didn't bring a project with me so I get to blog. When they finally got the doors open unloading the plane was very quick and in no time I was whisked away to Limerick. 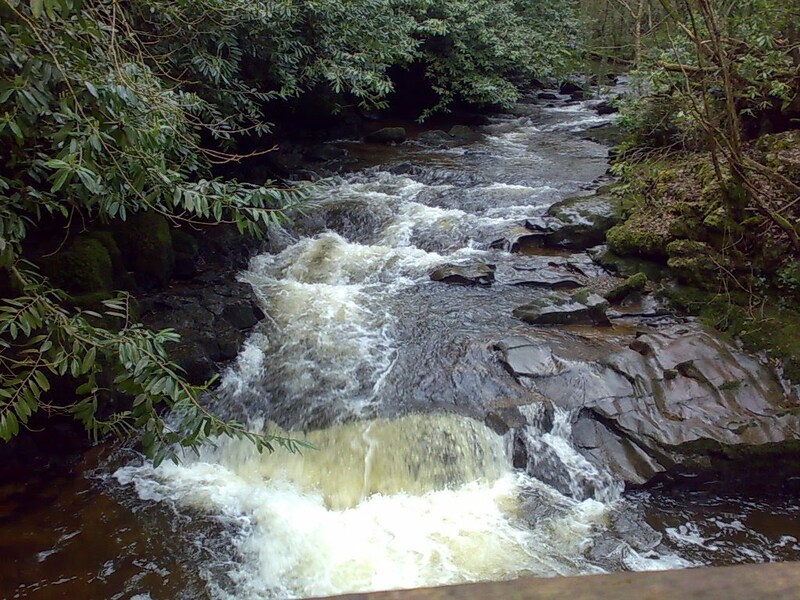 My host took me the scenic route and then out for a walk. The pictures of the river are of the Claire Glenns a local tourist spot. The photos don't do it justice. The water is fast flowing and the sound is amazing. It was quite wet and muddy but mostly I stayed clean enough to look professional. After a very nice dinner we went to the hall. The talk was in a church which might have been tricky with my big talk but it was perfect for the 20kg version. To save weight I took my coat and to go with it I thought the dress would go well with it. As the dummy was too big to bring I decided to wear it for the talk. It worked very well actually especially as the heating was broken. I think I got the best deal. The talk seemed to work very well despite just being chosen for weight, and the group were lovely. As we were packing up the alarm went off. We assumed it was a burgler alarm, but no, it ws the fire alarm. Everyone checked for fire while I packed and left. There wasn't actually a fire but I appreciated the care they took and that they let me get on with packing. 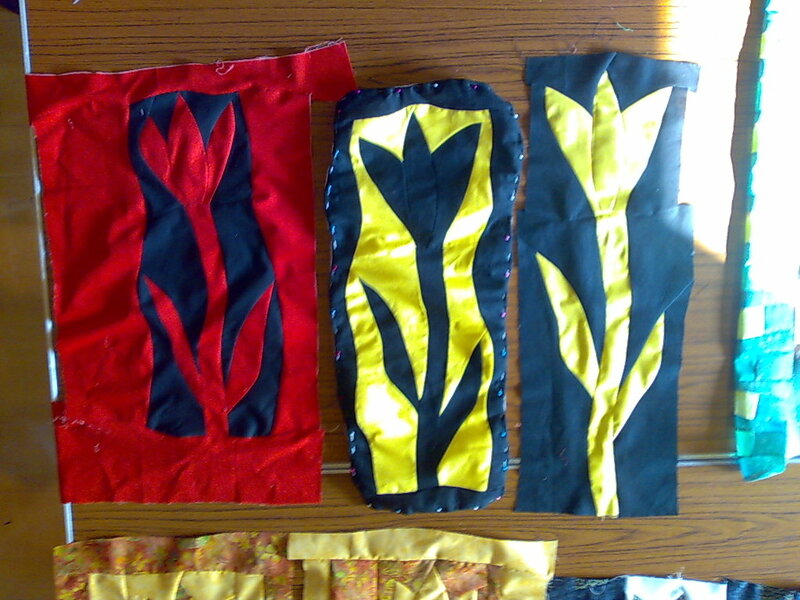 Today we have been making tulips, well them and other similar flowers. There are lots of interesting variations in this group. 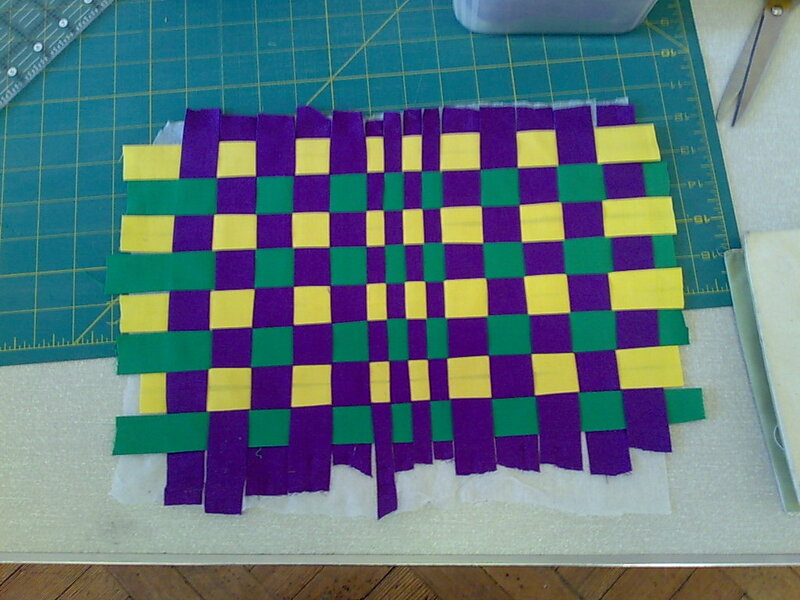 They have come up with several new ways of putting on borders that are really exciting. I should be able to take pictures tomorrow. We've just been out to dinner in a very nice restaurant that does fantastic cocktails. They have apparently won awards for some of them. They were good, so was the food. If you are in Limerick do try to get to the Cornstore, the fixed price menu is great value, everything we had was lovely and huge portions. I think it's reaching the point where I should try and encourage my students to bed so they are ready for another full day tomorrow. We will be doing more caveman type designs. Whups it really is late, the students B+B have just phoned to see if they are OK time for bed. Well I've made it to a somewhat damp Shannon only slightly delayed by missing passengers. I've not seen them have to offload bags before, but it was surprisingly quick and efficient. Opening the doors isn't going quite so well. 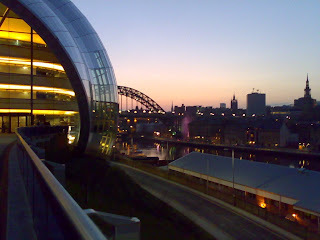 I've made it home from Newcastle, and I'm missing it. 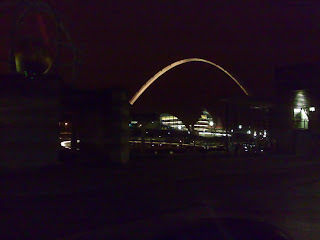 It really is a lovely city and the classes were great. I was lucky to have amazing gophers in both workshops. 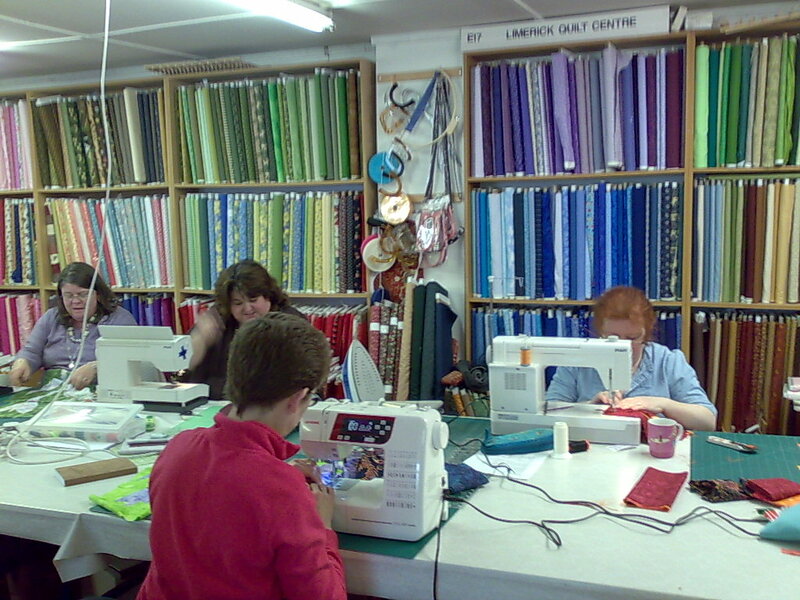 I've had helpers before but never quite such busy ones. I think the one I had on Sunday could read my mind as she always seemed to be doing the job I was about to ask for. Amazing. I hope all the members there realise what a great deal they get in their classes. 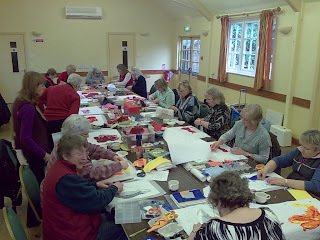 They also have a lot of very talented members (fortunately of the friendly type not the slightly intimidating ones) and I am lookng forward to seeing where they go with both their autumn leaves and the art quilt techniques. I realised that if I had only carried on a little further I would have driven the whole of the M1 in one trip, but I wasn't quite sad enough to do it, so instead I came off at Edgeware on my way home yesterday. It was quite a nice drive as the it was the middle of a week day and lovely and warm. So much so I had the window open for most of the trip. When I got home is it was straight back to work. 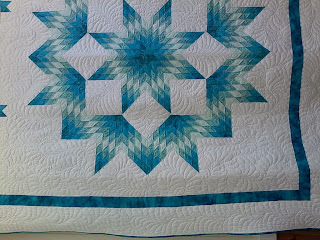 I collected some more quilts from the unit to take to Ireland this weekend then got some quilting done. 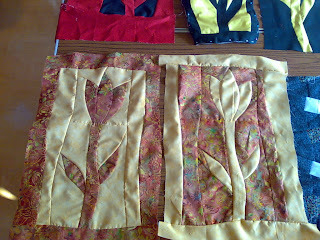 As the quilts will be left on the frame quite a long time I am working on some of my pattern samples. It doesn't matter if they get a bit creased. I then got down to the emails and phone messages. It's amazing how much piles up over even a few days. 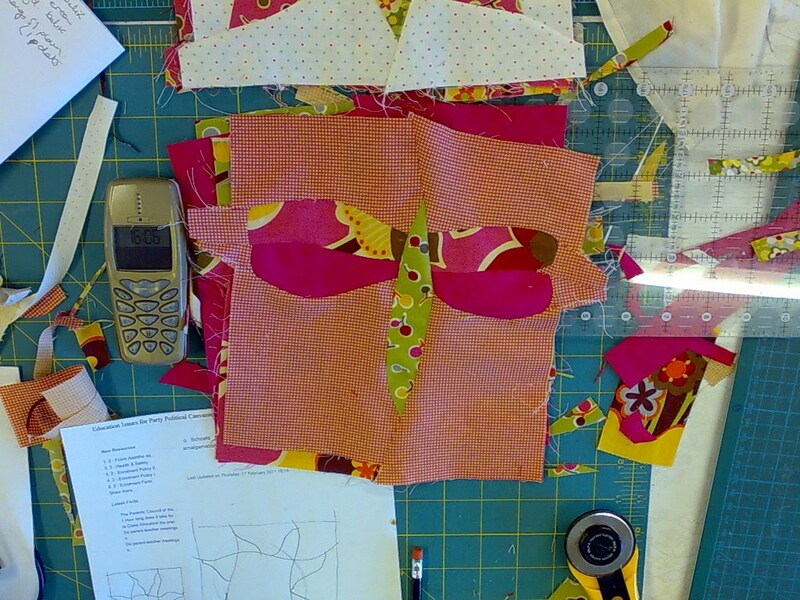 Tet has done a great job with the things he could do but it still leaves me with several hours work to catch up on. 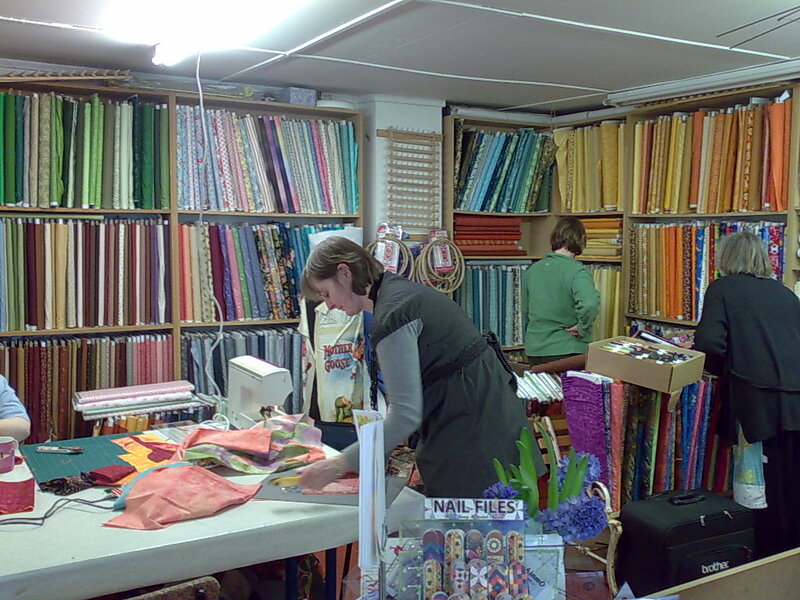 Today I was back to my regular classes at Patchwork Corner. Thanks to the students emailing me I even remembered most of the things I needed to take in. Unfortunately I did forget to hand one of them over but you can't win them all. 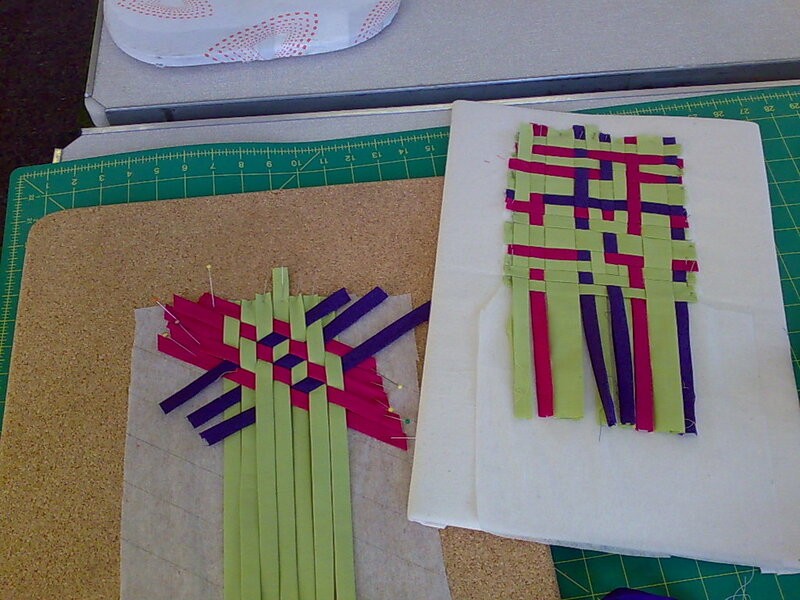 This evening I fancied something a bit different so I have been working on my Passion Flower Trellis sample. It is a class I am launching at Patchwork Corner very soon (May?) so I desperately need it done. It is in a similar vein to Autumn leaves and yet completely different. I'm very pleased with how it is coming together and hopefully I will be able to share some pictures soon, although with the bookings coming up I don't promise anything. I guess I should go and pack my 20kg talk shouldn't I. I know I won't want to do it tomorrow night. 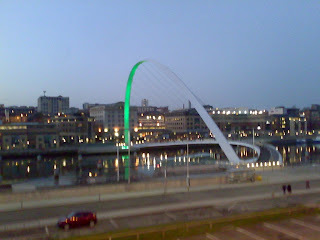 I guess it must be time to catch you up with my adventures in Newcastle. I've been pretty busy working and sightseeing so I've not had much chance to blog. 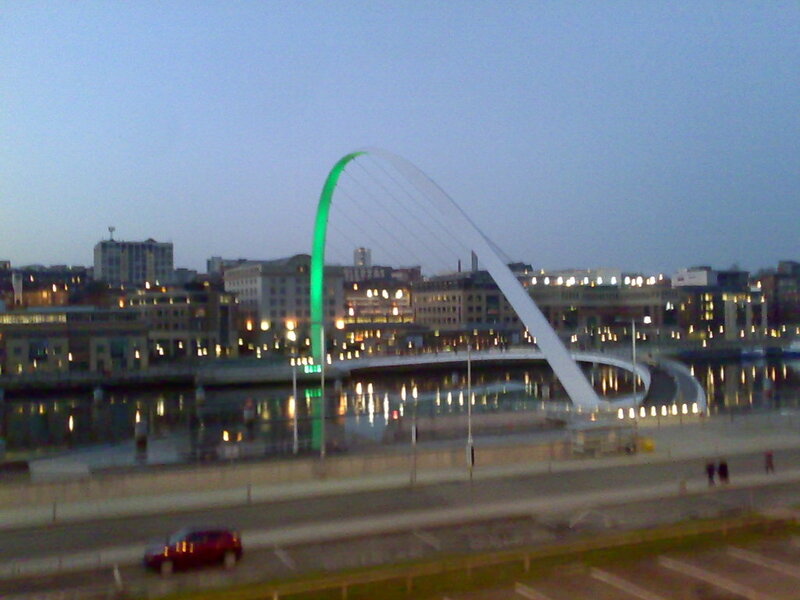 I wasn't sure what to expect from Newcastle, but I wasn't expecting the lovely bridges and waterfront. While driving to my hosts house I cam across one of them and avoided being distracted by the others by a very small margin. It really does look wonderful. 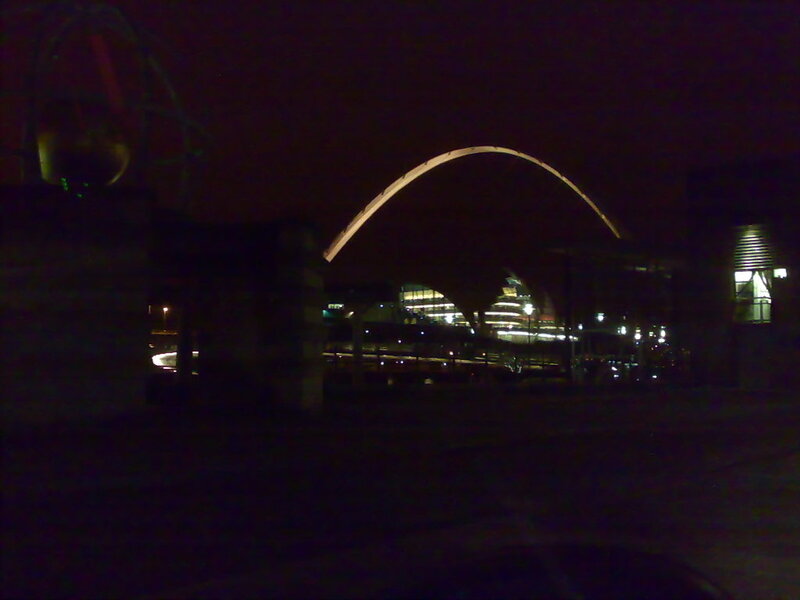 I've included pictures of the mileneum bridge, both at night and sunset. 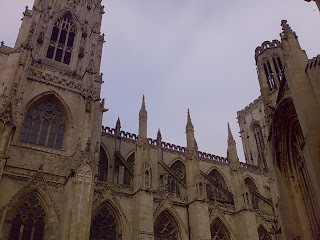 There are lots of impressive churches, but for me the large tower with the the arhes at the top is the winner. The cathederal had the better windows and doors though so do you suppose they would let me blend the two? The Sage building is odd. It's a big silver slug by the river. I like it, but I can see how some might not. At night the windows give it the look of a ship which is rather nice. The really impressiv views are from inside it. Despite being a very modern building it feels very welcoming and is a good place to relax with a drink and watch the river. The food looked good too. The last two pictures are from the regional day, Linzi Upon and her quilted yurt. 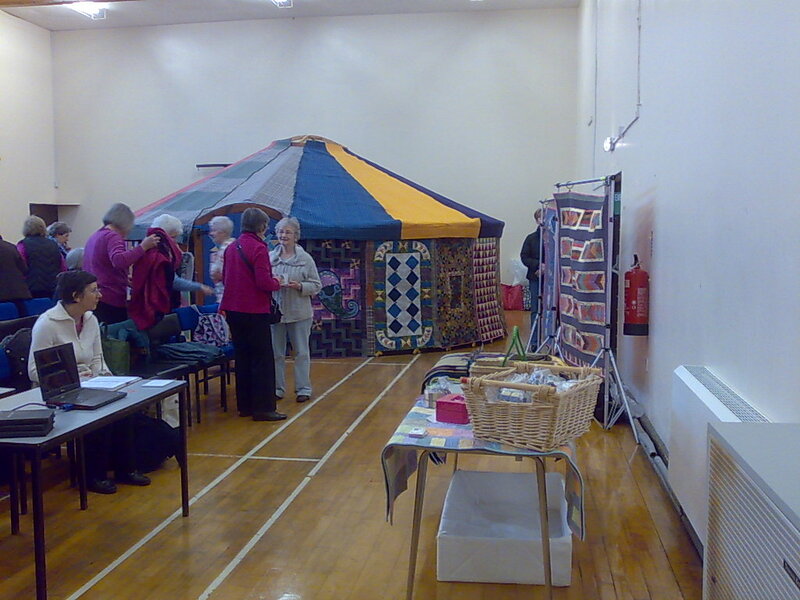 The poor group had trouble getting a venue big enough to contain the yurt, and when they managed it it had a freshly varnished floor. So what? Well a yurt has wooden lattice wall panels that slip really well on a shiny surface and that makes putting it up very ticky. 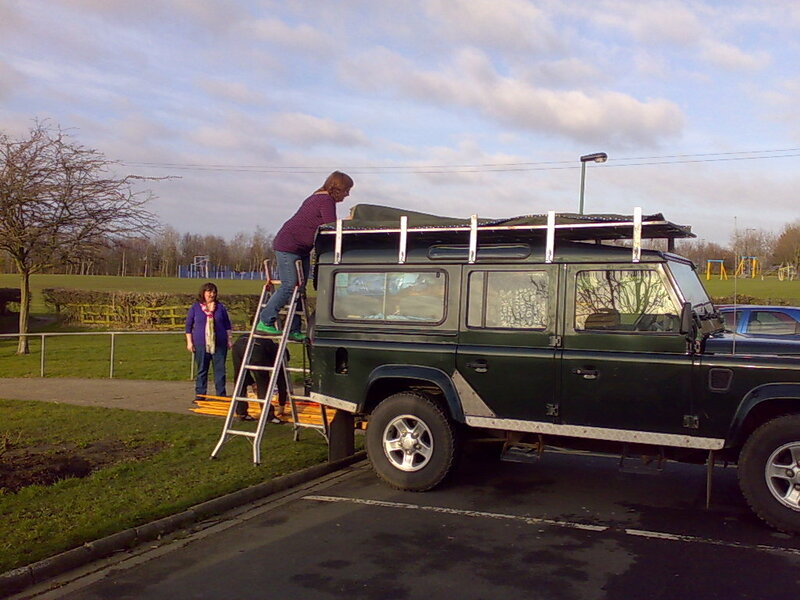 She managed it, and you have to admit it's impressive and very imposing. The whole yurt had come down from Scotland in her Landy. Well technically in and on. We found her packing antics entertaining enough to photograph. 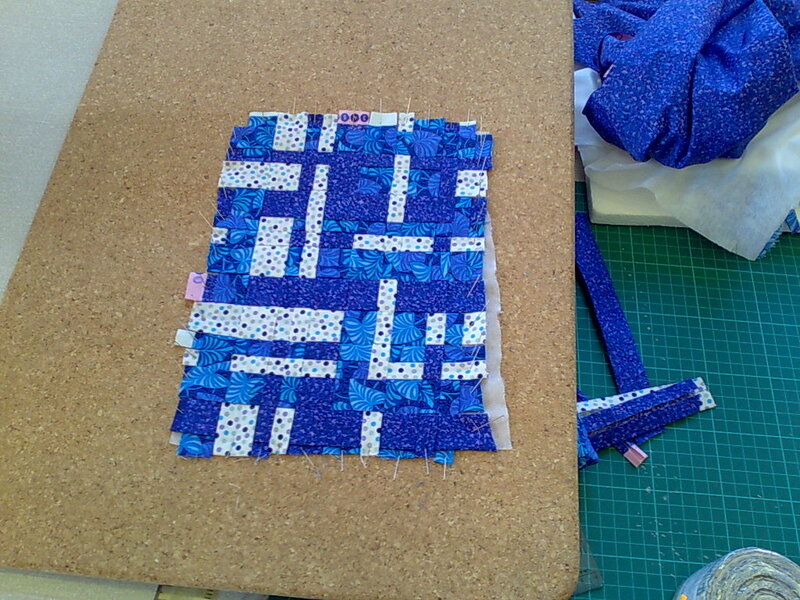 Sorry Linzi, but you are the only quilter who's talk taked longer to pack than mine. It's bulkier and weighs more too! Today was teaching and so is tomorrow, so I will leave this here and try and get some sleep. Early mornings really don't suit me. Sorry this has taken so long to post, I've been having trouble with electronics this weekend. Not only did my sat nav stop working, and my laptop start playing up but my phone doesn't seem to be holding a charge very well. I arrived in York with a couple of hours to look around. The park and ride system is very good it delivers you right into the town center and has guides and maps available on them. 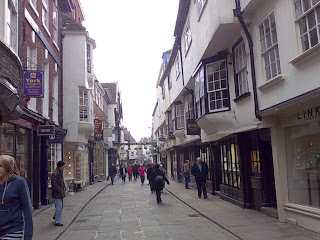 This was the first time I had made it to York and the first thing that struck me was how many old buildings there were. 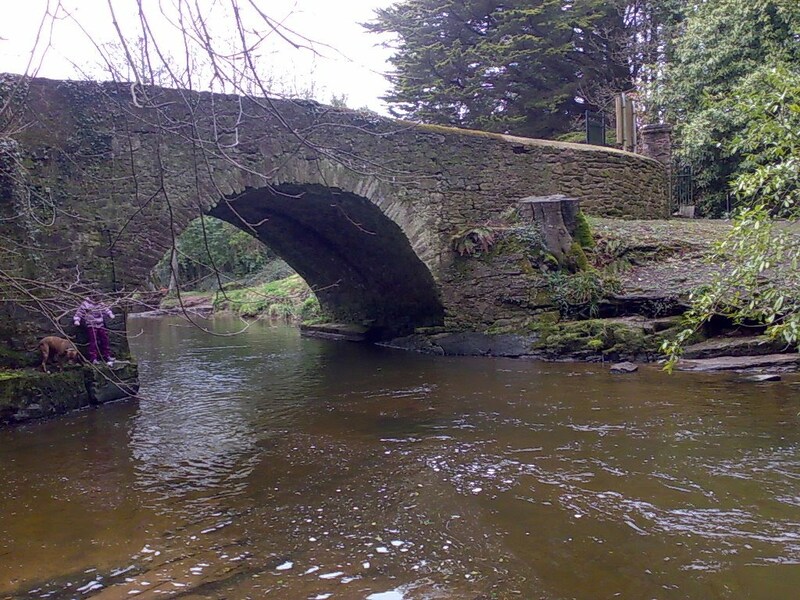 It really is very picturesque. 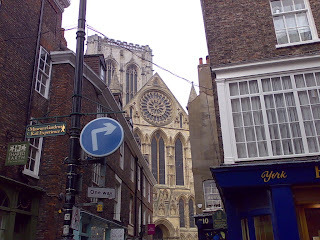 The signage was pretty good and with the map from the bus finding Jorvik was easy. It's a nice attraction but smaller than I expected. They are about to add some new galleries so it may be better next time I am in the area. 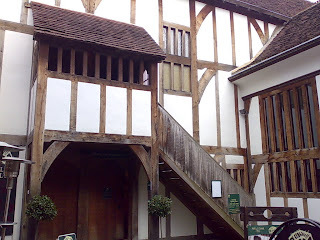 From there I tred to get to the Barley Hall. That was harder. The maps aren't as clear as they could be and smaller attractions get less signs. Even whenI had found the right street it wasn't easy. I got the impression more that once that you were only supposed to approach things in one direction. Still it was well worth the effort. 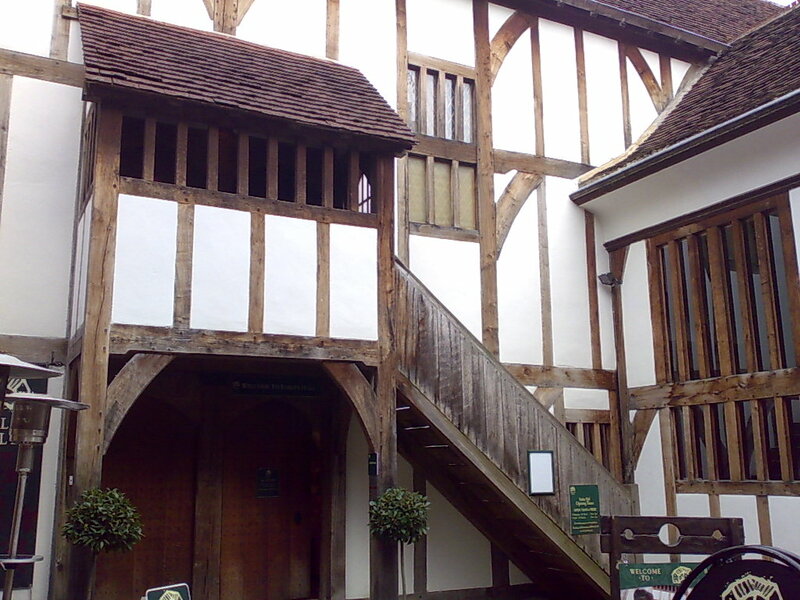 It is the timbered building in the photographs. I loved the great hall and the spinning wheels all around the house. 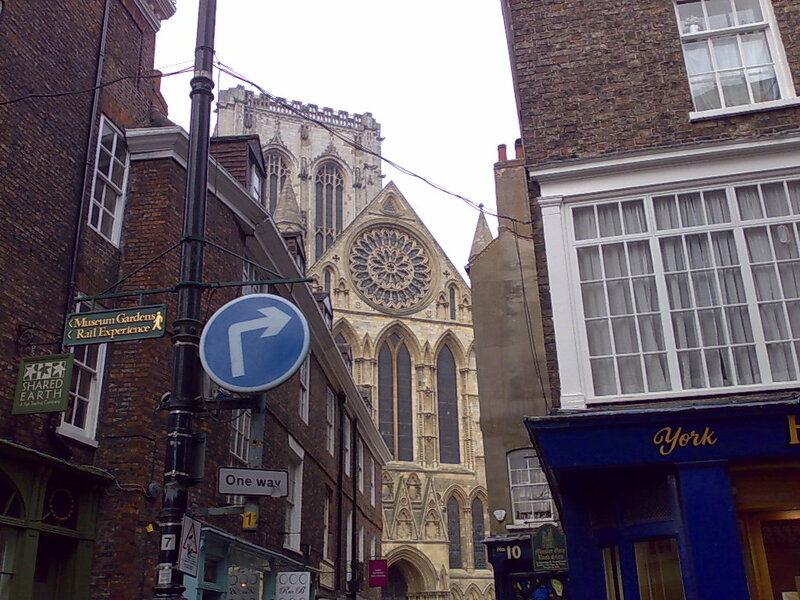 After too short a trip around York I headed back to the van and on to my talk. What an audience, they were great at hecking and interacting with me. A small but very friendly bunch who helped me pack very quickly. Then I headed to that nights parking. Without the sat nav I was worried about finding my host. She old me the story of the route and even on very dark lanes I found her road quite easily and she spotted me and showed me into her drive. It's amazing how much shelter a hadge can give and I got a very cozy night. Boy was getteing up hard. 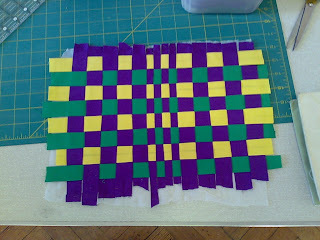 The next morning I was in a different hall teaching Art Quilts by Numbers. 20 students around one huge table (OK made of several smaller tables). 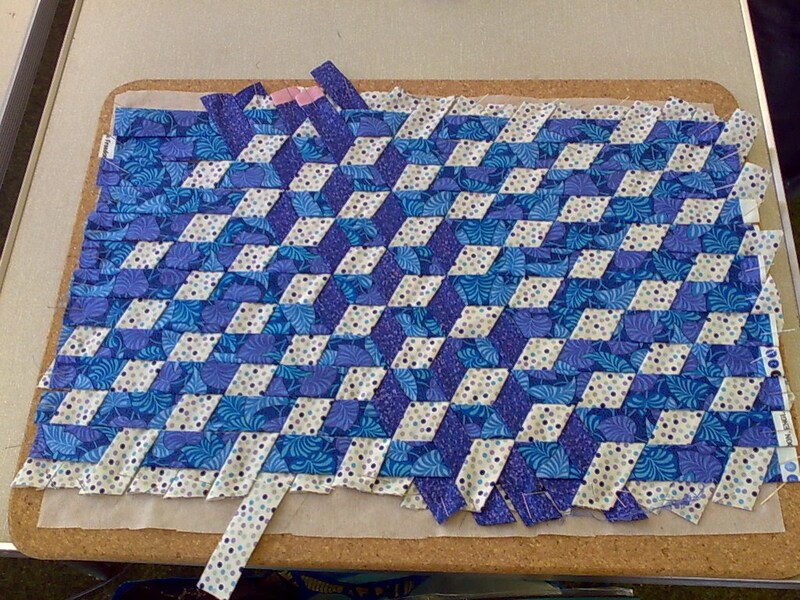 They wored well with many of them getting to the quilting stage. Lots of people took photos so hopefully I will have more to share later. 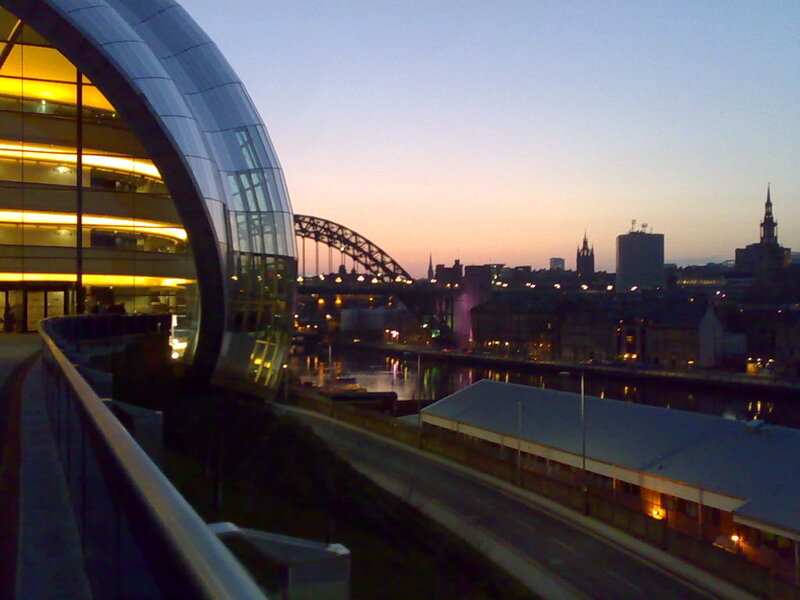 Now I am in Newcastle, today was the regional day, but more about that later. Now I aught to get some sleep. When we got the van I saw the potential for it to make the where am I feeling when waking up more complex and today it finally managed it. Admitedly it was aided by a dream that said I was somewhere else. Fortunately the M1 reminded me quite quickly that I am at Leicester Forest services. They are a nice services, but the M1 never becomes quiet (well not here at least). Before I get to involved with todays plan I guess I should explain the lack of posts while I was home. You may remember I hnad some problems with my longarm which was serviced just before the last trip. Well that left me with a huge backlog which I have almost cleared now. I've been quilting as many hours a day as possible and then running around to get the quilts back to their owners. Can't tell you how good it is to not have them all looking at me. 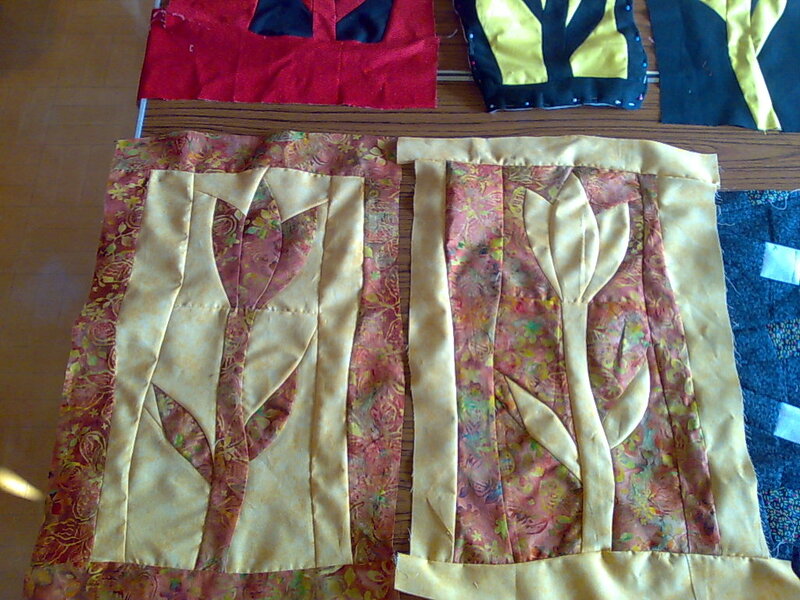 Todays picture is opne of the quilts that has just gone back. It belongs to one of my students and I just love it. While I have been quilting Tet has been typesetting patterns and cutting kits. 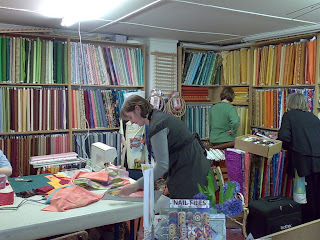 This trip I am teaching art quilts by numbers twice so the cab is full of supplies. There has been some exciting news since the last tour. 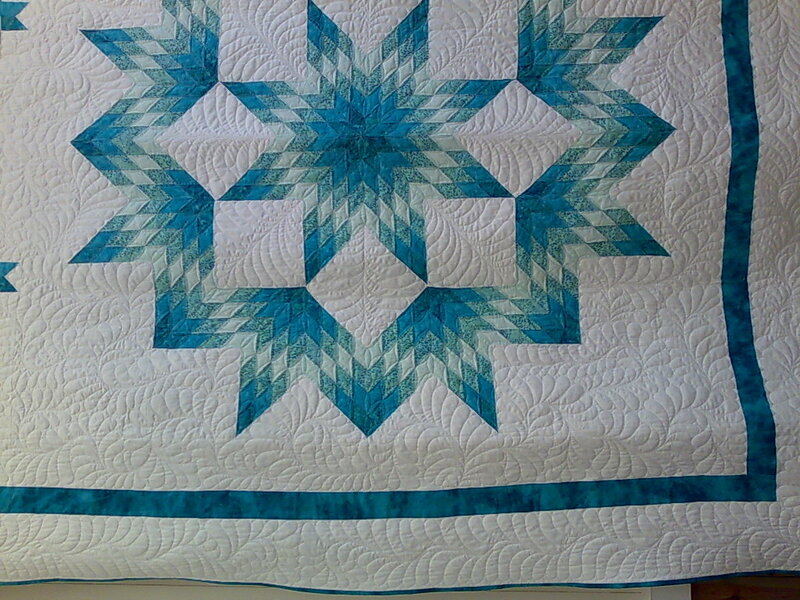 I will be responsible for filling the gallery at Quiltfest next year. 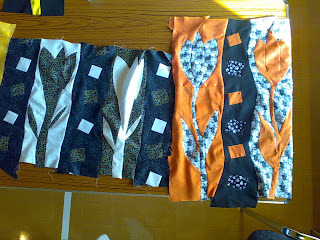 I am quite excited and assuming I keep on top of the longarming I should have a couple of mew pieces for the show. 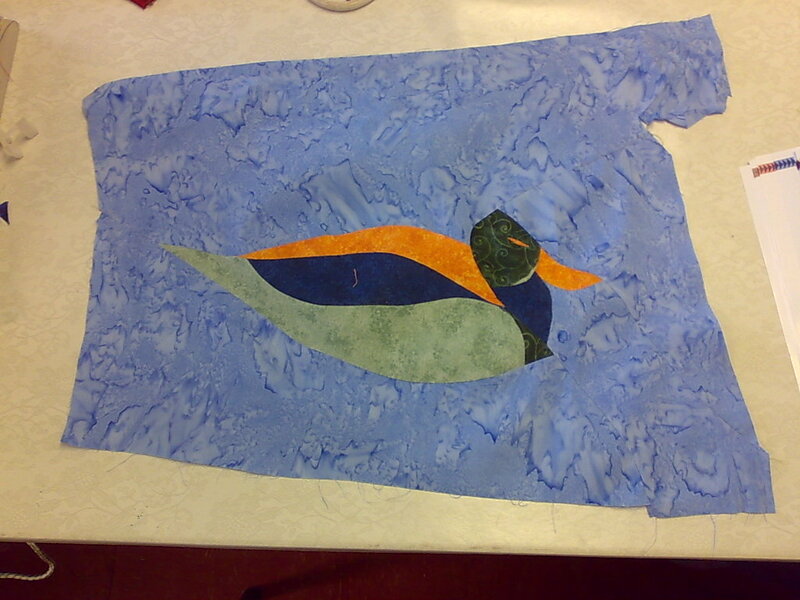 I will also be taking the longarm with me, so if you would like to see me at work plan to be in Wales the beginning of Feb next year. Back to today. I am sitting in the services admiring the car park that is the M1 south and eatinmg my porridge. Starbucks porridge isn't great but it's not terrible either. Tonight I am giving a talk in York and as I have some time to kill I thought I would take the chance to visit Yorvik. It's somewhere I've been meaning to go for years and as I am in the area it seems rude not to. I suppose I had better stop typing start eating and head off.